A live, hard charging rock and roll romp! Why See One Night in Memphis? The number one tribute band to the likes of Carl Perkins, Johnny Cash, Jerry Lee Lewis and Elvis Presley heads out on tour to bring you another night of Rock 'n Roll classics! Be transported back to the 1950s as this 90-minute extravaganza samples the very best of the era. From Rockabilly to country to gospel, this is one night you'll never forget with One Night in Memphis! 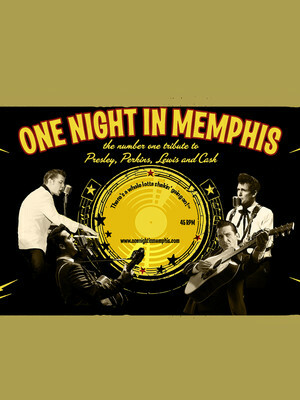 Created and directed by John Mueller One Night in Memphis emulates the unforgettable night where four legends (Carl Perkins, Johnny Cash, Jerry Lee Lewis and Elvis Presley) came together in a jam session that changed the world forever. With hits like 'Blue Suede Shoes', 'Folsom Prison Blues', 'Great Balls of Fire' and 'Hound Dog' all featuring, don your dancing shoes and head to One Night in Memphis! 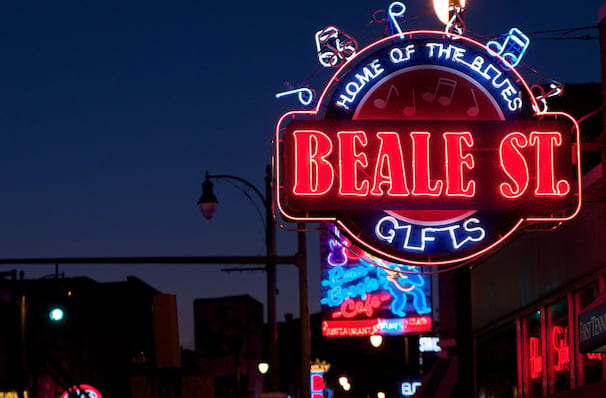 Seen One Night in Memphis? Loved it? Hated it? Sound good to you? Share this page on social media and let your friends know about One Night in Memphis at Thrasher-Horne Center for the Arts. Please note: The term Thrasher-Horne Center for the Arts and/or One Night in Memphis as well as all associated graphics, logos, and/or other trademarks, tradenames or copyrights are the property of the Thrasher-Horne Center for the Arts and/or One Night in Memphis and are used herein for factual descriptive purposes only. We are in no way associated with or authorized by the Thrasher-Horne Center for the Arts and/or One Night in Memphis and neither that entity nor any of its affiliates have licensed or endorsed us to sell tickets, goods and or services in conjunction with their events.